RoboCity2030-II is a coordinated project of six major researcher labs of the Madrid Community. It is coordinated by RoboticsLab and deals with the integration of service robots in order to increase citizens' quality of life in urban areas. The main program’s objective of RoboCity2030-II-CM, following RoboCity2030’s original program (www.robocity2030.org), is to develop new applications and service robots in realistic environments. 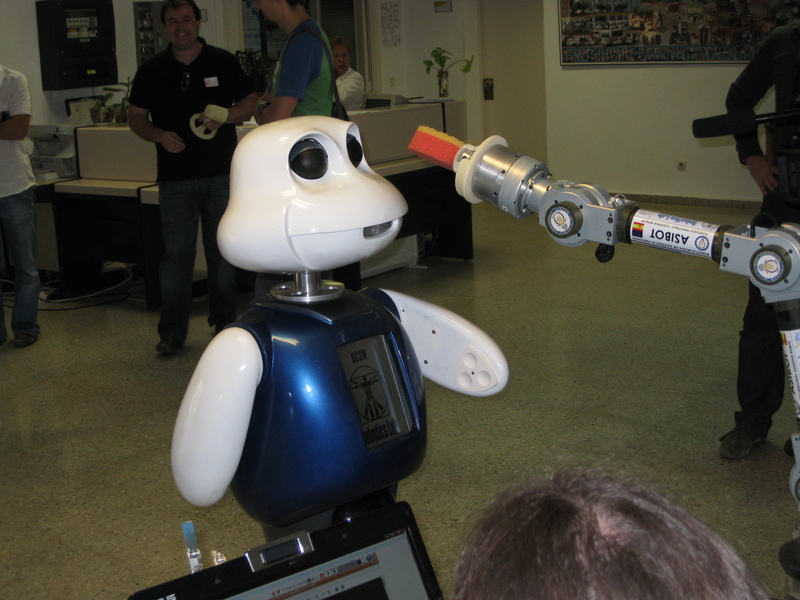 The original program studied and developed technologies to be used with service robots. They achieved excellent results during past years within workshops (control architecture, perception, cooperation, interaction,…) as well as in shows with real robots. The 2nd phase is focused on the development of different uses of those technologies developed during the 1st phase. The applications to be developed, which in some cases imply the use of new robots or the adaptation of the old ones, will be focused in those aspects specified by the European Robotic Platform (EUROP- www.robotics-paltform.eu) as well as by the National One (Hisparob-www.hisparob.es).